I've missed Achtung Panzer Operation Star's release back in November. Not for lack of interest but because of the gaming backlog I have. Time to catch up, fellows. 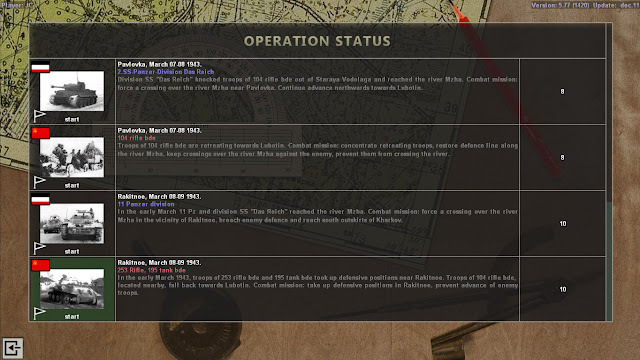 Since it is a bit late to review this game and Operation Star is closely related to the previous highly acclaimed Kharkov 1943, this entry will be just a quick overview of what's new and better. 3D, continuous time, can pause and issue orders while paused, (new) adjust time compression (0.3 to 5 X real time). 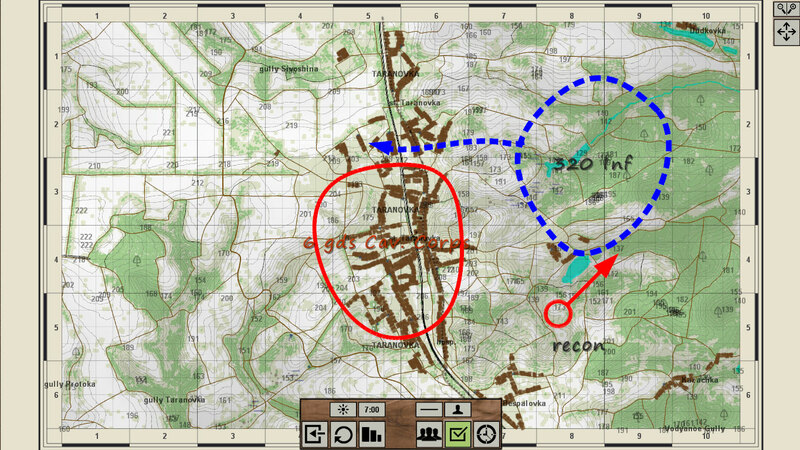 This format is used to fight tactical battles in a 2.44 square kilometers portions of the area of operations. 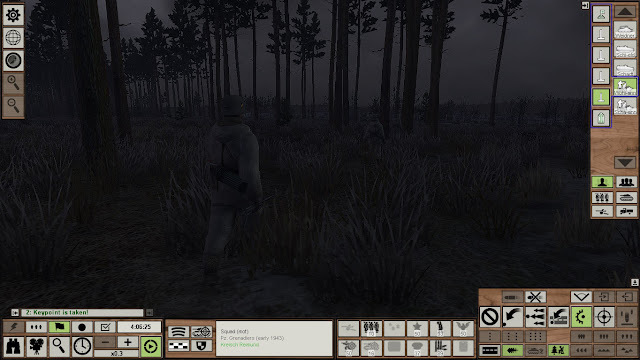 2D, tactical map, turn based interface where platoon/squad sized troops are moved into battle. This format is used to move forces and decide where to fight the 3D tactical battles. Editor: quick tactical battles, campaign editor for campaigns available somewhere in the web. Up to eight scenarios that span up to ten turns. Multiple 3D tactical battles played each turn depending on player's decisions. Before the start of each 3D tactical battle, the player deploys his forces within areas under his control. Note the highly detailed ammunition pop up list for each squad. 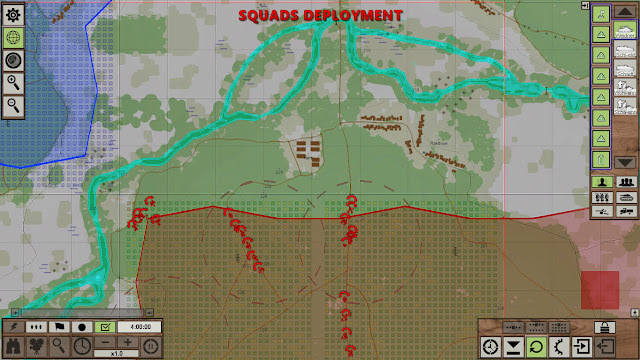 The squads can be deployed using a 2D map. The red area with green squares are possible deployment sites for the player's forces. 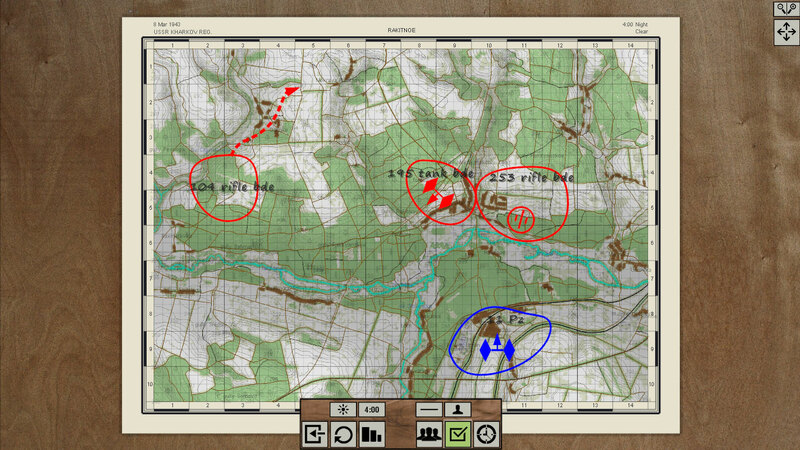 The initial orders interface is for getting your troops doing something right at the start of the scenario. 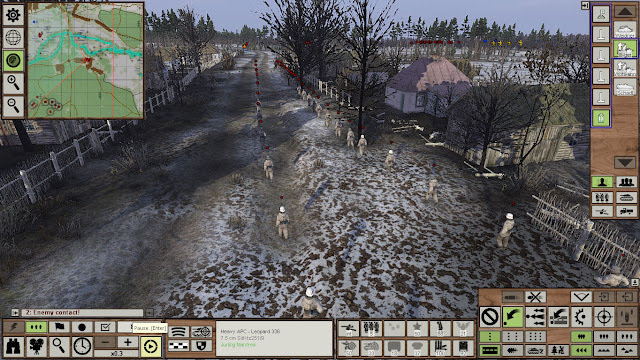 In this screenshot I changed to an option that shows an icon for every individual soldier and vehicle (red dots and icons). A platoon of German combat engineers is selected and rubber-banded with blue lines. 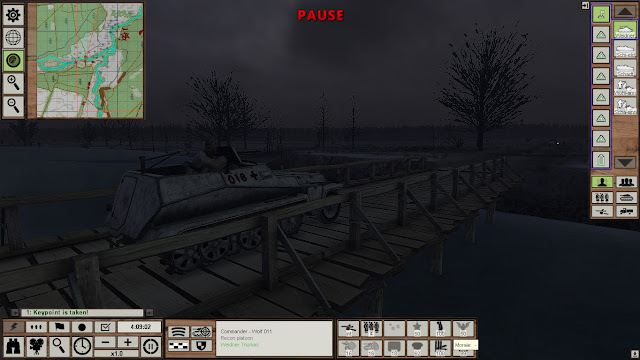 A tactical 3D battle is ongoing. Most of the combat operations start early in the morning (0400 in this case), so be ready for the challenges of low visibility. 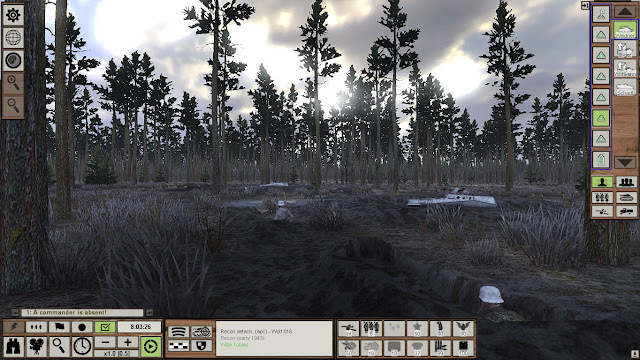 Graphics are very good and include complex lighting. 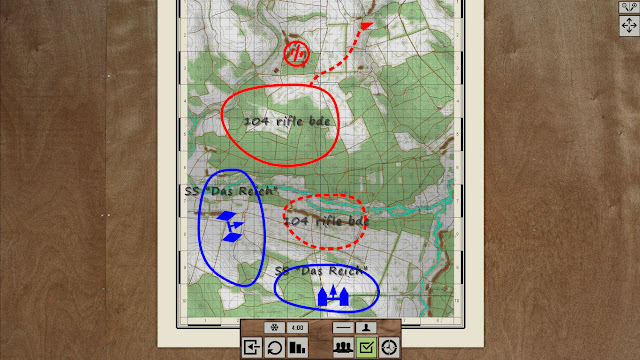 Note the revamped user interface: it includes tooltips that will be very helpful for the beginner player. 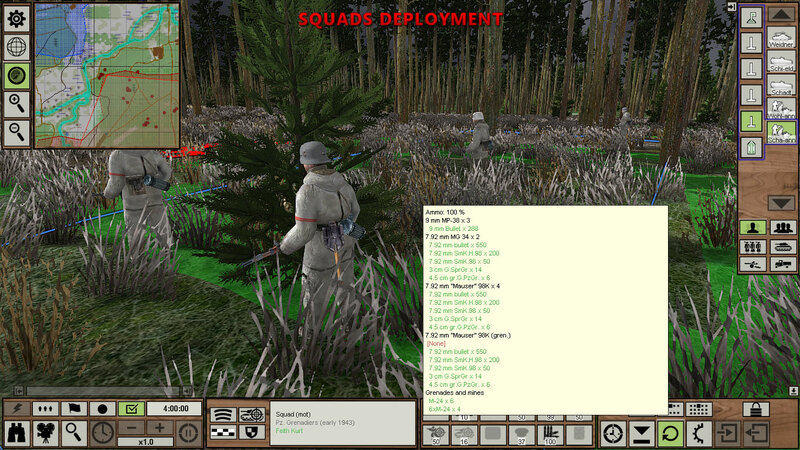 A squad of German infantry men marching into contact. A 2D map is available during the tactical 3D battles. 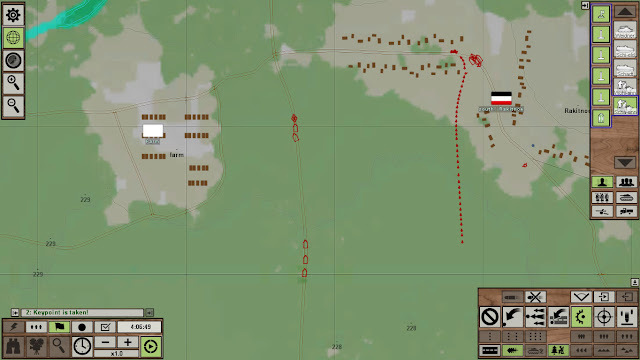 In this case it's showing each individual soldier (red dots) and vehicles (red icons, Russian style). 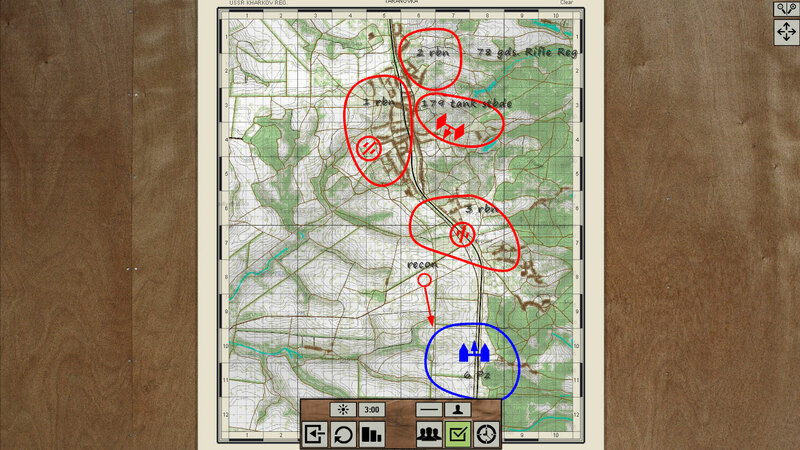 The 2D maps are highly detailed and include heights and vegetation. 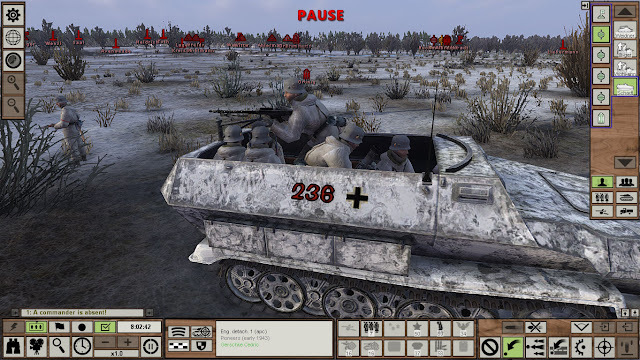 Vehicles and men are highly detailed. 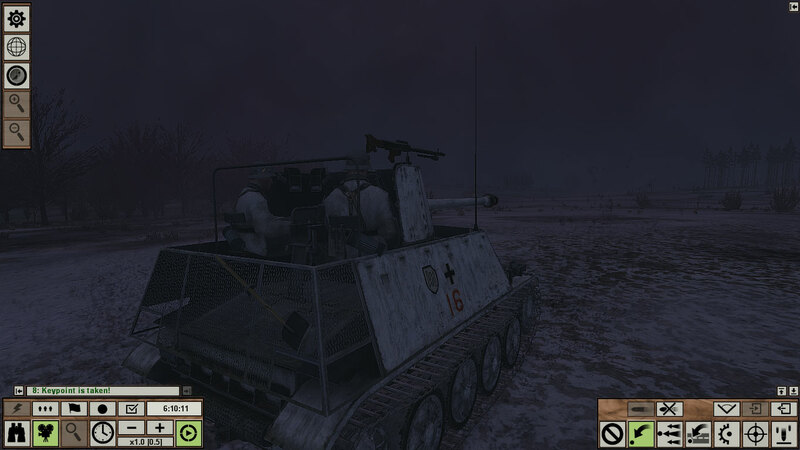 In the case of this self propelled gun, full animations for the crew are included (loading and aiming with the gun's reticle). A combat engineer's halftrack sporting a mortar. 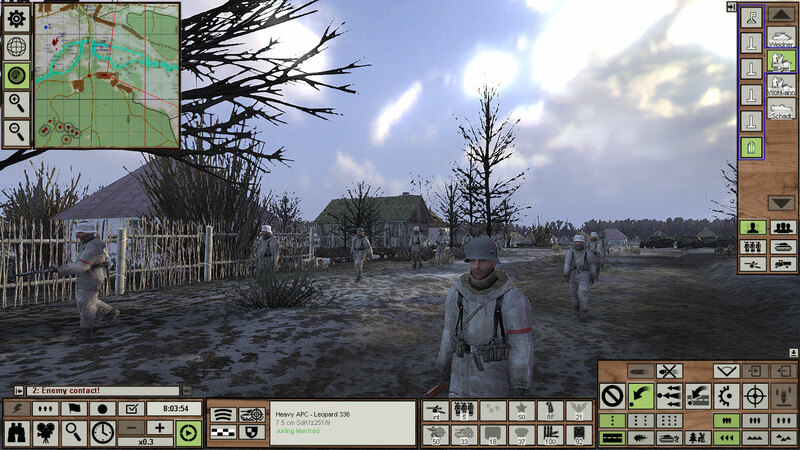 The red icons in the background are German forces located nearby. Dug-in Germans. 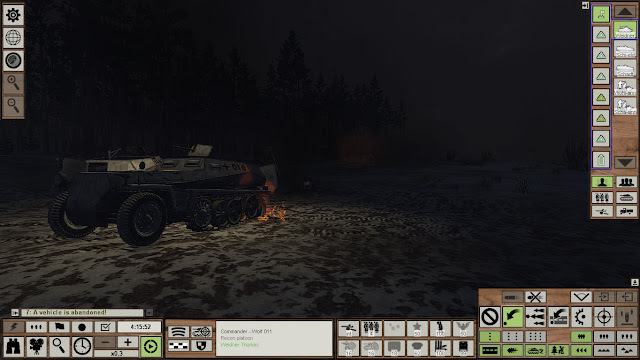 The defensive works now include ones for vehicles. The tactical tasks/status overlay is frequently overlooked by many players. 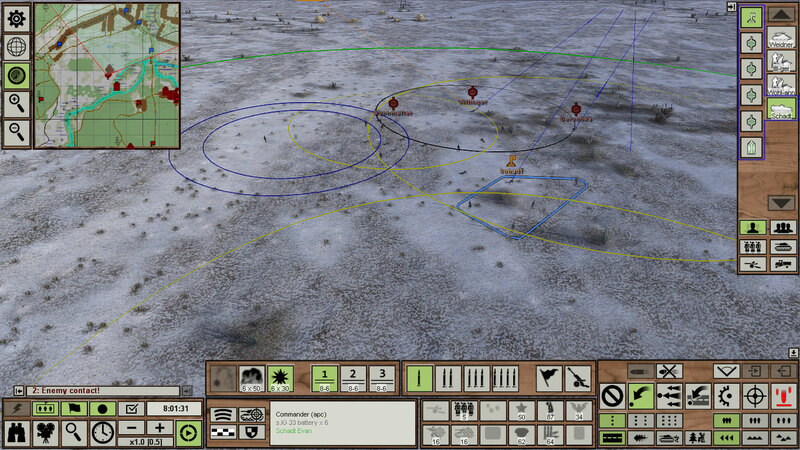 This overlay shows the command radius, move and fire orders for each unit selected. 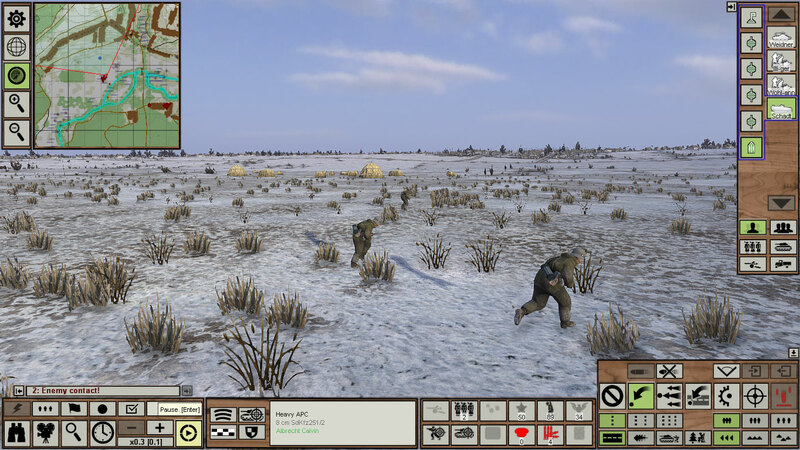 The animations of men are highly detailed and for the most part comparable with older first person shooters. Maps offer a lot of room to maneuver. 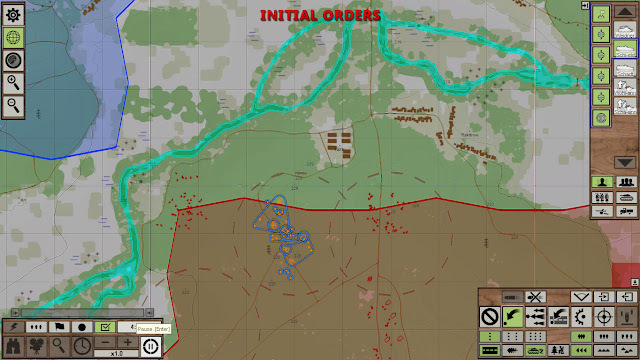 Get your infantry ready to walk a lot. A company of German infantry moving forward. The new interface makes it easier to keep your forces in whatever formation you may want. Krasnaya Polyana is the latest DLC for this series with a 20 turn campaign.I would like to see an AAR for this DLC,the new August 2012 patch and upgrade have really added a lot to this game making IMHO one of the best RTS games for the Russian front on the market.